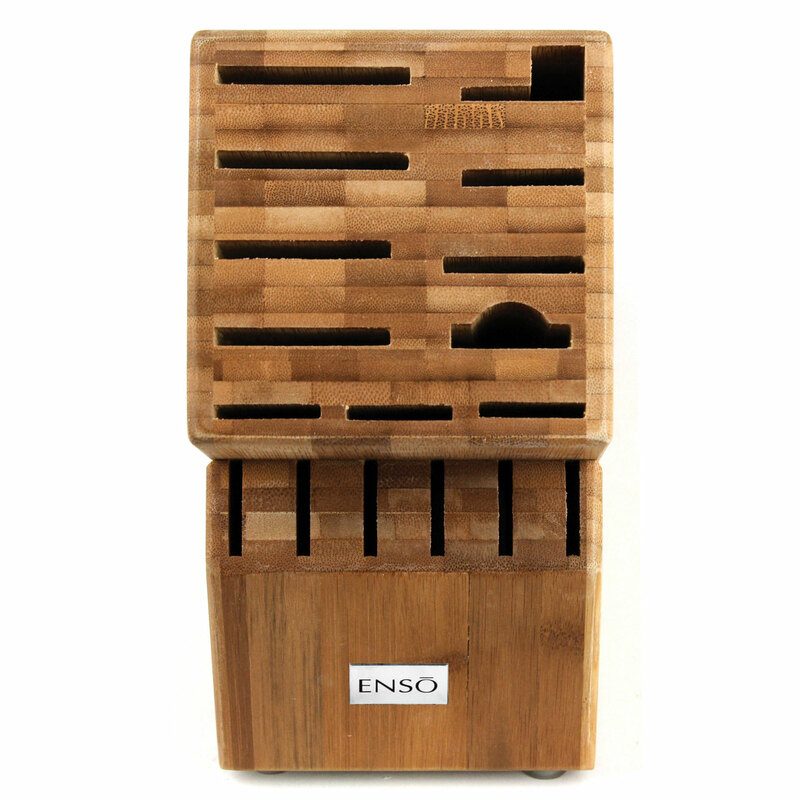 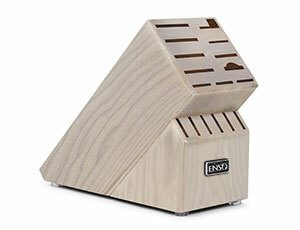 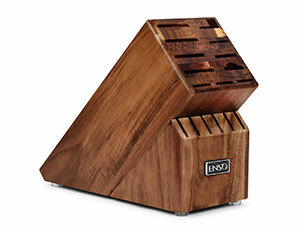 This 17-slot Enso Knife Block is designed to preserve your entire knife collection while still leaving counter space. 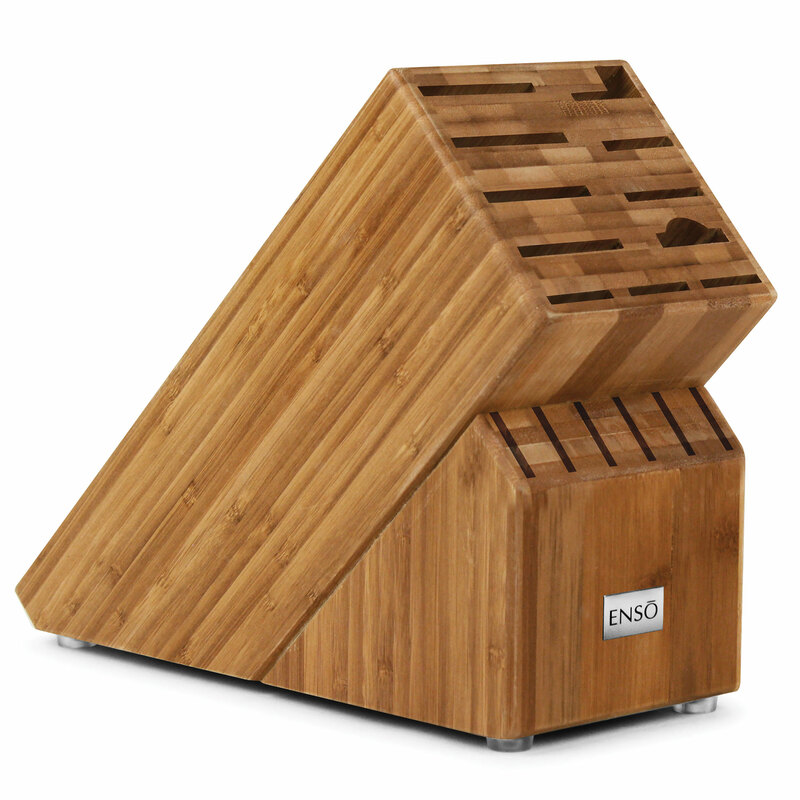 Perfect for bird's beak paring knives, fillet knives, chef's knives, santoku knives, steak knives, sharpening steels and more. 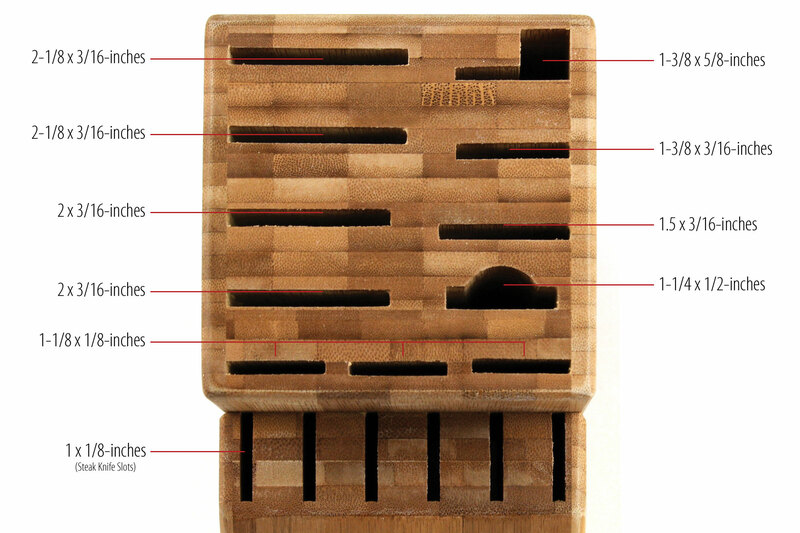 The top row can hold up to a 12-inch knife, the 2nd row can hold up to a 11-inch knife, the 3rd row can hold up to a 10-inch knife, the 4th row can hold up to a 9-inch knife, the last row can hold up to a 8-inch knife. 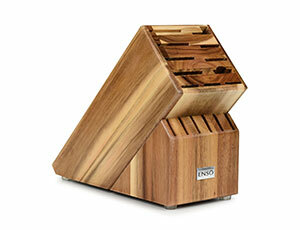 The six steak knife slots in the front can hold up to a 5-inch knife. 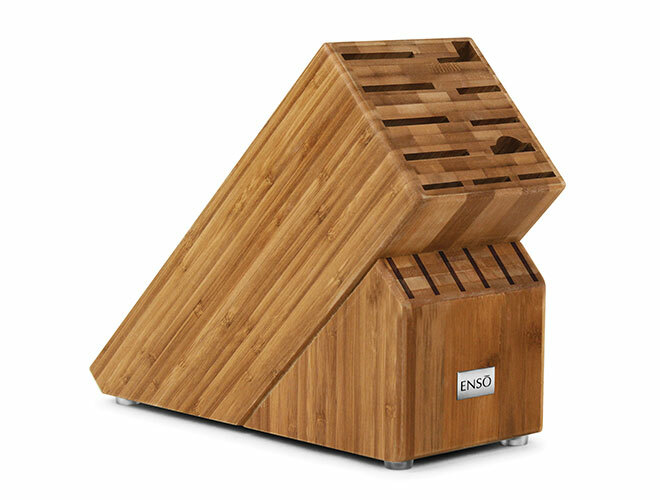 https://www.cutleryandmore.com/enso/knife-block-p135289 35289 Enso 17-slot Knife Block https://cdn.cutleryandmore.com/products/large/35289.jpg 49.9500 USD InStock /Cutlery/Knife Blocks & Holders This 17-slot Enso Knife Block is designed to preserve your entire knife collection while still leaving counter space. 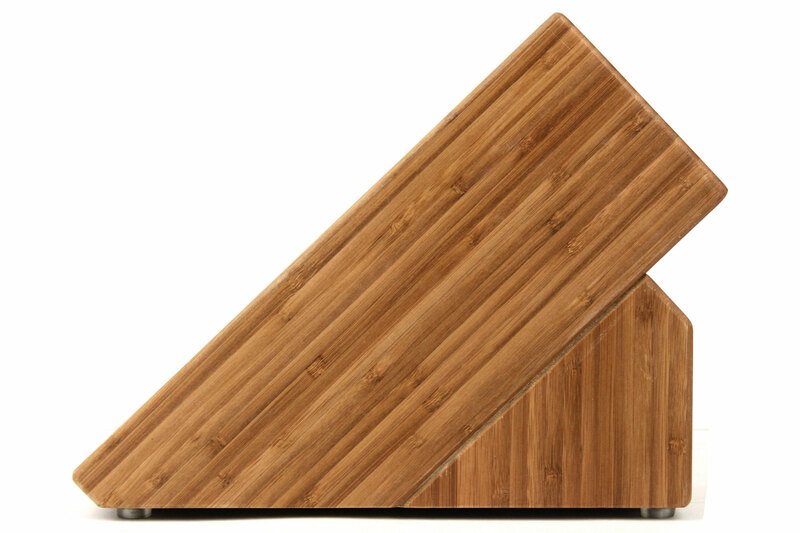 Perfect for bird's beak paring knives, fillet knives, chef's knives, santoku knives, steak knives, sharpening steels and more. The top row can hold up to a 12-inch knife, the 2nd row can hold up to a 11-inch knife, the 3rd row can hold up to a 10-inch knife, the 4th row can hold up to a 9-inch knife, the last row can hold up to a 8-inch knife. 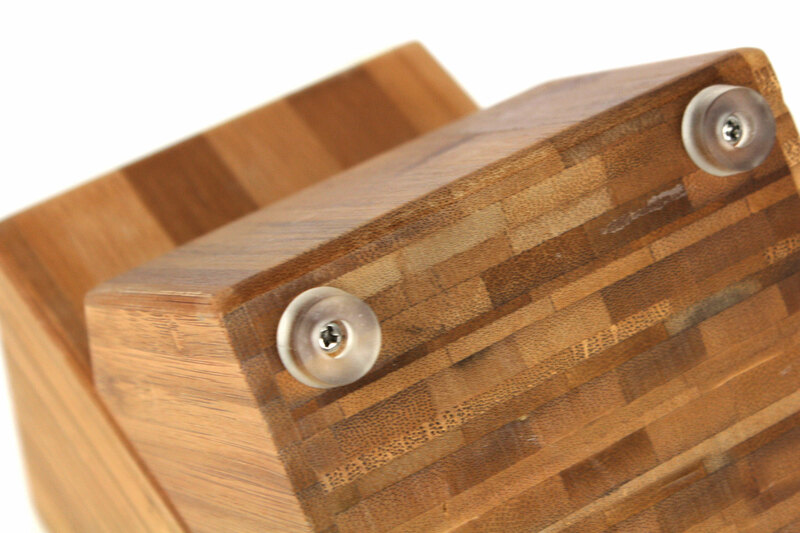 The six steak knife slots in the front can hold up to a 5-inch knife.